OnePlus may launch OnePlus 7 smartphone anytime in May 2019 or so. Last time the brand OnePlus had released OnePlus 6 smartphone in May 2018. Thus we can expect the subject device accordingly. The news and leaks are around about the upcoming OnePlus 7 gadgets. The brand has recently released OnePlus 6T McLaren edition after the huge success of the OnePlus 6 and OnePlus 6T smartphones last year 2018. The Never Settle is coming with one more bang soon. As per the sources available, OnePlus 7 smartphone may come with slider mechanism thus no front camera is seen on its image. 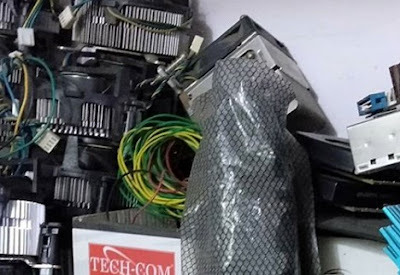 The upcoming device must be 5G feature one beside it would come with Qualcomm's Snapdragon 855 processor which is the latest one that would be compatible for 5G connectivity. Thus, all in all, the forthcoming OnePlus 7 mobile phone may not have punch-hole, notch or drop notch etc. The slider part may contain the front camera, so, it will come with less-bezel and full display to feast its fan. 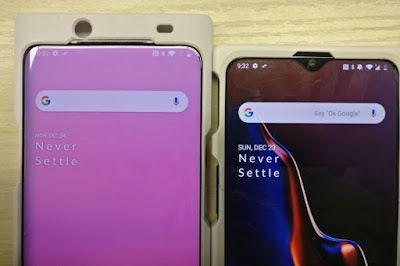 The right side of the OnePlus 7 phone may come in a different variant or possibly the earlier one (OnePlus 6T). Let us wait and see their comparison. OnePlus 7 cell phone might be released also with 12GB RAM and 512GB internal storage to suit almost everything. If you are interested to know OnePlus 7 smartphone's key features, technical specifications, launch date, release date, price, first impression, unboxing, comparison, review and hands-one etc. then you could find some of them in our next post. So, stay tuned and check the OnePlus section for its latest devices.